After w​orking in the food deserts for two years, we have been able to drill down even further to a population in our community that is more underserved than the folks in food deserts; homebound, low-income senior citizens, most of whom subsist on less than $750 per month in Social Security. Not only is having enough food an issue, but having access to healthy food is a luxury most of these seniors would never dare to dream of. Several years ago we identified this population in Hastings and began a home delivery service of fresh produce to seniors who were unable to physically come to the food pantry. That program continues today, serving 25 seniors in need. County wide, this same issue exists but on a much larger scale. The Department of Elder Affairs has identified 4100 seniors in St. Johns County as low-income food insecure. This means there are 4100 people, over the age of 62 who must choose each month between paying the rent and food; between prescription medicine and food; between heat in the winter and food. We don’t think these are choices our senior citizens should have to face. In 2018, the number of senior citizens living at or below the poverty level has increased to 6,525. That is a huge uptick in the number of older Americans who are at risk of being food insecure. In adhering to our mission to “fill in the cracks” and provide services where a need exists but goes unmet, we partnered with The Council on Aging to help reduce the number of seniors on their Meals on Wheels waiting list. These seniors were vetted by the COA as living below the poverty level but having the ability to prepare fresh food if they had access to it. In February of 2016 we began providing bi-weekly deliveries of fresh, local produce to 12 of those seniors. From the experience gained through Farm to Family, we have connected with local farmers to help us source the very freshest seasonal produce available at a cost of just under $1 per day, per senior. The USDA recommends seniors eat 2.5 cups of fresh vegetables and 2.5 cups of fresh fruit per day to maintain good health. But if you can’t get out to get fresh produce and you can’t afford to spend your few food dollars on expensive fresh produce, then you are stuck eating it from a can, which contains dangerously high amounts of sodium and other additives that contribute to a decline in health. And for vulnerable seniors, a decline in health means they will be less likely to age in place; will incur more frequent hospitalizations and ultimately can reduce the quality and length of their lives. We know fresh is better. And we know it doesn’t matter if you can’t afford it. It’s still all about access. The Senior Program has been growing steadily since we began. As of October 2018, we are serving 434 seniors, delivering fresh produce twice a month. Each month, we purchase nearly four tons of produce, which is delivered by 50 volunteers, all across the county. While our numbers continue to rise, so does the need for funding. We can deliver enough fresh produce, along with other donated food items to last each senior for one month. The cost to feed a senior is $262.50 for one year. That's just 74 cents per day and we can provide food for one senior for one whole year. How we will impact the community. I know it probably is an oversimplification, but the impact will be measured by the number of seniors we can reach. While 4100 food insecure seniors seems a daunting number, every single one that we deliver food to, we are also delivering quality of life. Each of our volunteers has a route and they get to know the folks they deliver to and develop relationships with them, often discovering additional needs for which we can provide assistance or referrals. Of nearly equal importance of the food we deliver, we also bring smiles and hugs and friendship. Often times, our volunteers will be the only human contact a senior has during that week. The impact is measured not only by the numbers but by the quality of service and compassion and the unmeasurable value of knowing that someone cares. 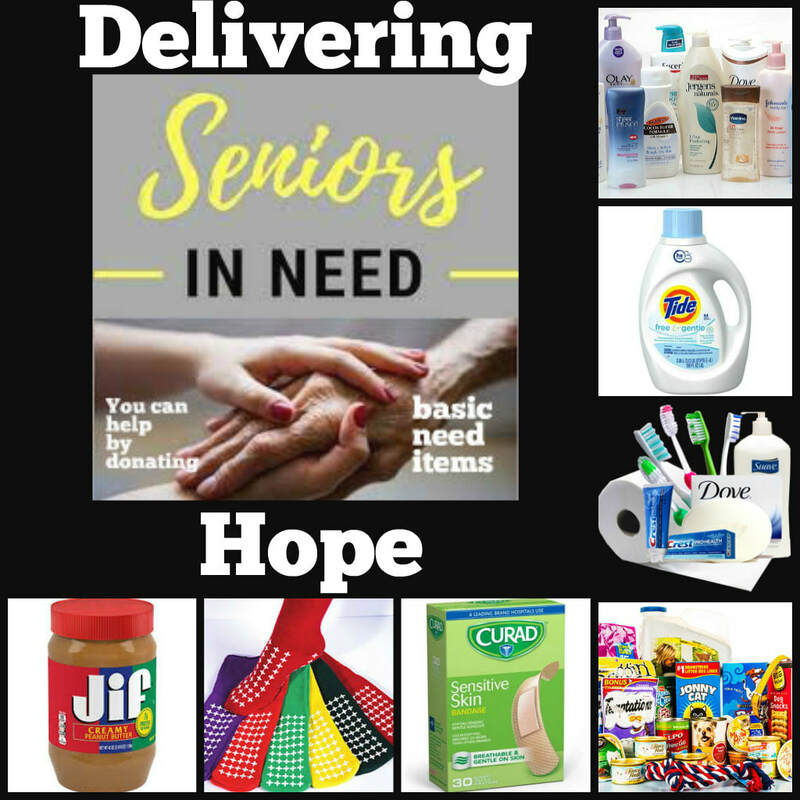 Our seniors are always in need of basic items that can help them stretch their monthly income. When you see items on BOGO at the grocery store, please think about buying some for our seniors. Personal care items, pet food, toilet paper, laundry detergent are expensive luxury items for folks on a fixed income. Please help if you can. Consider a basic needs drive at your place of business, church or civic club. Every little bit helps us, help them. For more information, call Malea at 904-382-9939.